Lemax Sledding with Dad multi figurine on a single base depicts a sledge pile-on with Dad underneath and his two children enjoying the ride, as they sledge down the snow slopes. Sledding With Dad is a Winter scene addition on snowed base suited for placement in a Lemax display. A recent addition to the Lemax catalogue joining the collection in 2015. 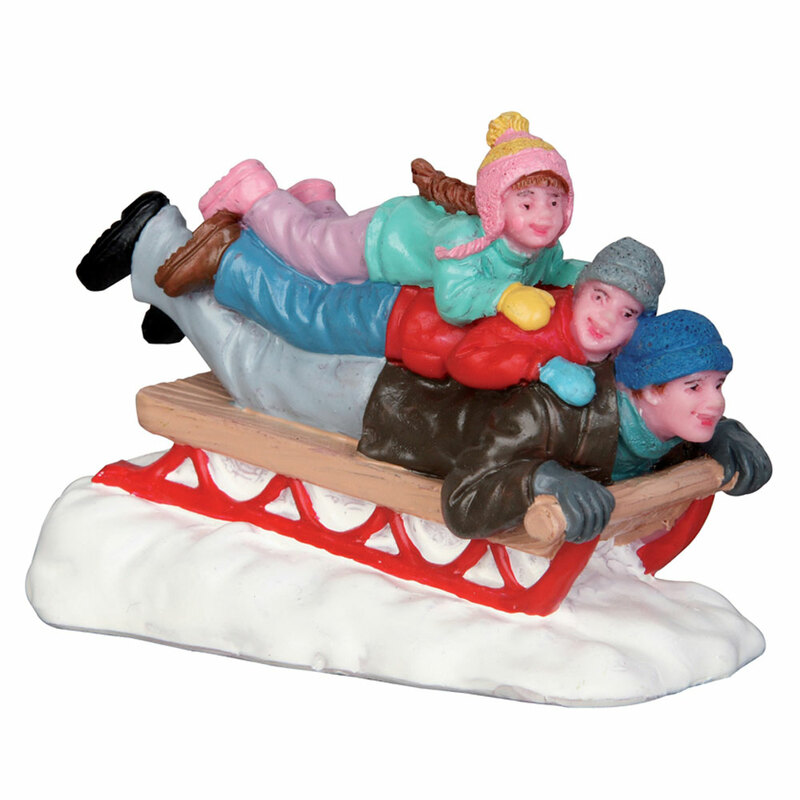 Sledding With Dad comprises three individual hand painted polyresin figurines and sledge mounted on a single snowed base to compliment your seasonal Winter Village display.